Asia Society's Tai Chi and Qigong classes with Henderson Smith exercise the Three Treasures of the mind, body, and breath, using a practice that anyone can enjoy and benefit from. In this Level I course, wind down your day with this Qigong. Reduce stress, reduce pain, sleep well, and renew your qi (energy) for the week through Qigong, meditation, and gentle, easy Tai Chi movements. Individual classes may be prorated at $30/week for Asia Society members or $35/week for nonmembers. Practice your Tai Chi and enhance your experience with your qi (energy) through mindful breathing and movement with two different forms of Tai Chi from the Wu Dang Mountains. Individual classes may be prorated at $25/week for Asia Society members or $30/week for nonmembers. Henderson Smith is the Founder of Living Well Therapies and specializes in teaching Qigong and Tai Chi as the exploration of applied physical, mental, and energetic self-mastery. He began the exploration of Qi (breath or energy) as a medium for healing and maximizing power with Sei Bu Do Martial Arts. Under Grand Master Dr. Donald Swansey, he earned a 2nd Degree Black Belt and studied Acupressure, Pressure Points and Medical Qigong for natural healing. Continuing his study of Qigong as a system for self-awareness, self-care, and self-control, Henderson earned a 350-hour Professional Certification with the (NQA) and a 200-hour Teacher Certification with the (IIQTC) under Master Teacher Dr. Roger Jahnke where Medical Qigong was encouraged as a way to access the natural healing capacity within every human body. Henderson is a certification Sr. Trainer with the (IIQTC) and has served as Lead Assistant on a 2013 and 2018 trip to China with Dr. Jahnke, where he continues to study WuDang Mountain Tai Chi and Qigong under 17th Generation Master Zhou Jin Bo. Meeting the need of millions seeking a Lifestyle of Health and Sustainability (LOHS) on the go, as CEO, Henderson along with a team of highly skilled partners launched MeTime24/7.com (MT) in 2018. Providing access via cell phone, tablet, computer, or TV, (MT) is a visually vibrant conscious media platform delivering life enhancing skills and Qigong & Tai Chi lessons directly to subscribers, wherever they are, whenever they need it. Henderson has a BS in Management and Marketing and is Center for Mind-Body Medicine (CMBM) Certified. He is a Sr. Fellow with the American Leadership Forum (ALF), graduating in 2013 from Medical Class 5 where the focus was on “Disruptive Innovation” applied to improving the health care system. Henderson owned Benefits Design and Financial Services for 14 out to 20 years in the insurance business before founding Living Well Therapies as a way to help people improve themselves and discover conscious self-governance. He was a founding member of the board of directors for the former Houston Wellness Association and chairman of the Complementary and Integrative Wellness Committee for 4 years. Education and outreach programs at Asia Society Texas Center are made possible through generous funding from Karen Chang and the George and Mary Josephine Hamman Foundation. 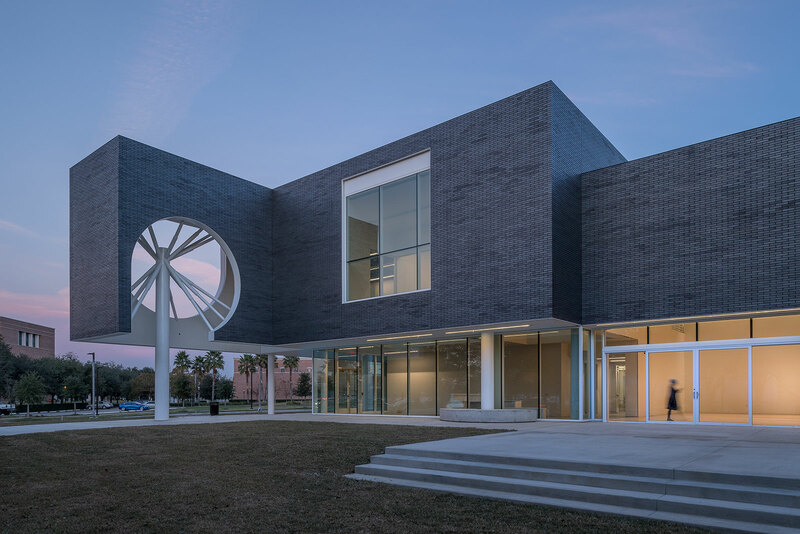 Additional support is provided by Friends of Asia Society Texas Center, a premier group of individuals and organizations committed to bringing the best in exhibitions and public programming to Houston. Parking in Asia Society Texas Center's lot is $5 for 1-24 hours. Entrances on Caroline and Austin. Limited free and paid street parking also available. Enjoy breakfast and lunch at Pondi! Pondicheri's museum café is open for extended lunch hours Tuesday through Sunday with a vibrant and innovative menu featuring everything from butter chicken to saffron shrimp salad and roti wraps.